Lead Singer Alison ‘Dyke’ Christian was shot dead in 1971. 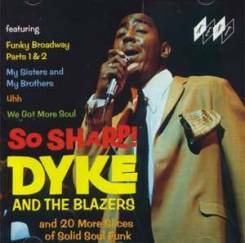 Earlier in the 1960s with the O’Jays’ backing band, they released several singles on the Original Sound label. 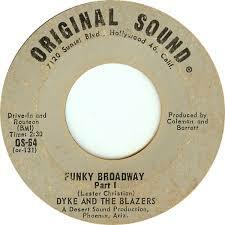 Among these was the original Funky Broadway in 1967 which became a big hit for Wilson Pickett. 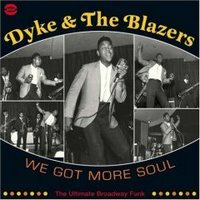 Their biggest hits were We Got More Soul and Let a Woman Be a Woman – Let a Man Be a Man, both of which were Top Ten R ‘n B US singles in 1969. It was Wilson Pickett that had the hit with Funky Broadway – even at the Twisted Wheel at the time, it was far more popular than the original! When you listen to “Let A Woman Be a Women” you can’t help but notice how much it owes to James Browns Funk style.